Resources Guides How Much Are Bi-Folding Doors? How much are bi-folding doors? A popular home improvement, bi-folding doors are favourite amongst homeowners and architects alike. People can’t help but be drawn to their stylish and contemporary design. Due to their growing popularity, bi-fold door prices have been coming down and are now considered an affordable addition to the home. If you are simply after a guide price for your new bi-folding door, create a free online quote here. Our bi-fold door cost calculator will provide you with an instant online price. 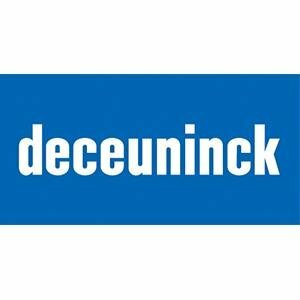 We also have a wide network of recommended companies within the UK. If you are looking for free, no obligation quotes then we can help put you in touch with local installers in your area. Welcome the outside in with beautiful aluminium bi-folding doors. Whether it’s for an internal or external installation, these doors look stunning in any setting. Effectively a wall of glazing, bi-folding doors provide you with unrestricted views of the outside. Perfect for connecting home and garden, these doors will create a seamless entrance to your patio. Durable, low maintenance and effortlessly stylish, bi-fold doors are well worth the investment. These folding doors can b configured from two to eight panels and can be opened right back to inches of opening. This creates an illusion of an open plan room, giving you a seamless entrance between rooms or home and garden. For most cases, planning permission will not be required from your local council in order to install bi-fold doors. However, bi-fold doors can be considered a major alteration to your home if you happen to live in a listed building or home that is in a conservation area. A planning permission must be sent and from this they will either grant or deny your permission for your installation. If your application gets rejected, it might be a case of simply altering the number of panels used, altering material or changing the colour of your doors. You should always seek permission before having bi-fold doors installed. Find your local council online. It’s important to choose a company that is trusted to deliver quality products and services. Double Glazing On The Web can put you in touch with recommended local companies in your area. Simply get in touch. 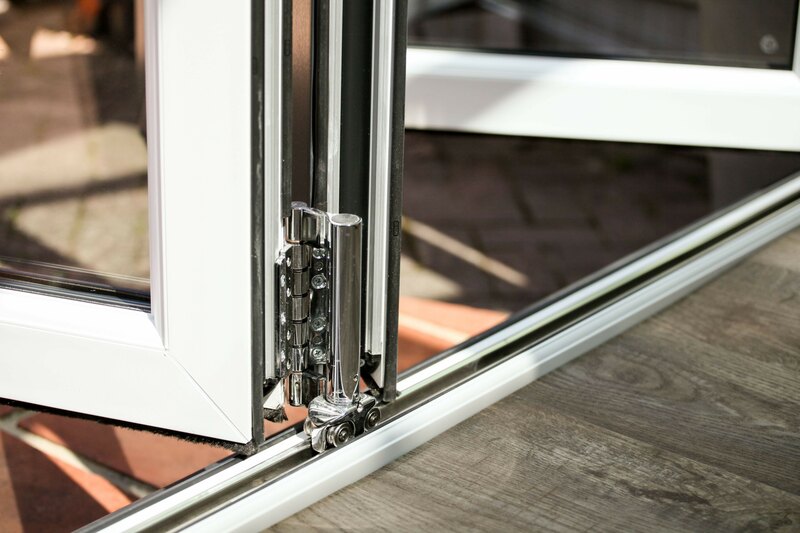 Here are some trade bodies to look out for when choosing a bifold door company. Imagine being able to open your home so that your interior and exterior spaces become one stunning and seamless area? Integrate indoor and outdoor space with style. Bi-folding doors can be specified in a variety of thresholds, including flush-floor level. 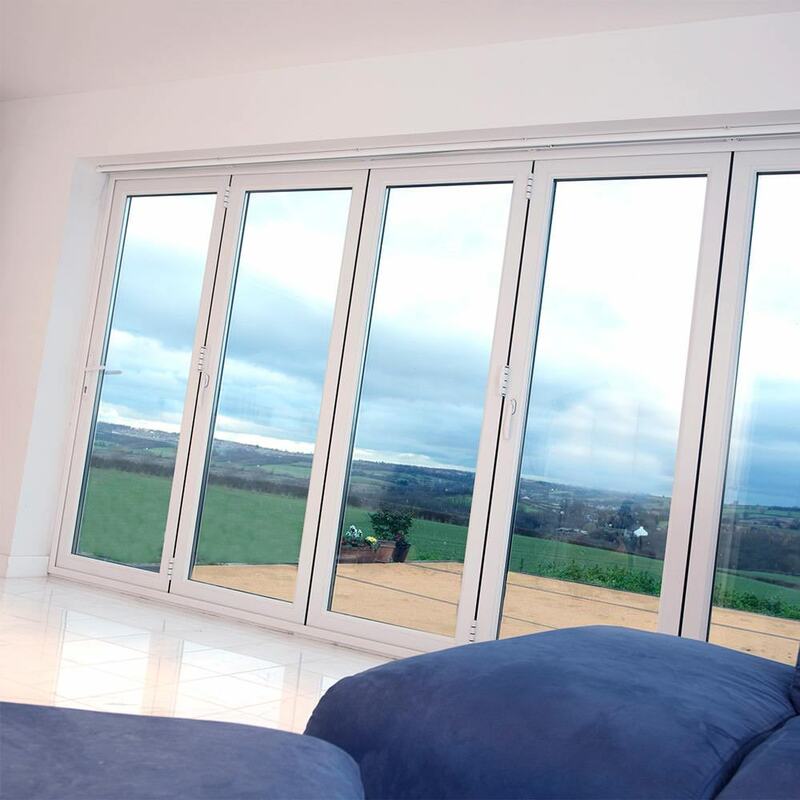 For those of you fortunate to have beautiful garden or home that backs onto a countryside area, then a bi-folding door will be the perfect addition to your patio or balcony. Blur the boundaries between indoors and outdoors and create brighter, bigger views. Bi-fold doors can be appreciated throughout the year – even in Winter. When natural daylight is limited, your bi-folding doors will enhance all available light. Enjoy a bright, welcoming room whatever the season. 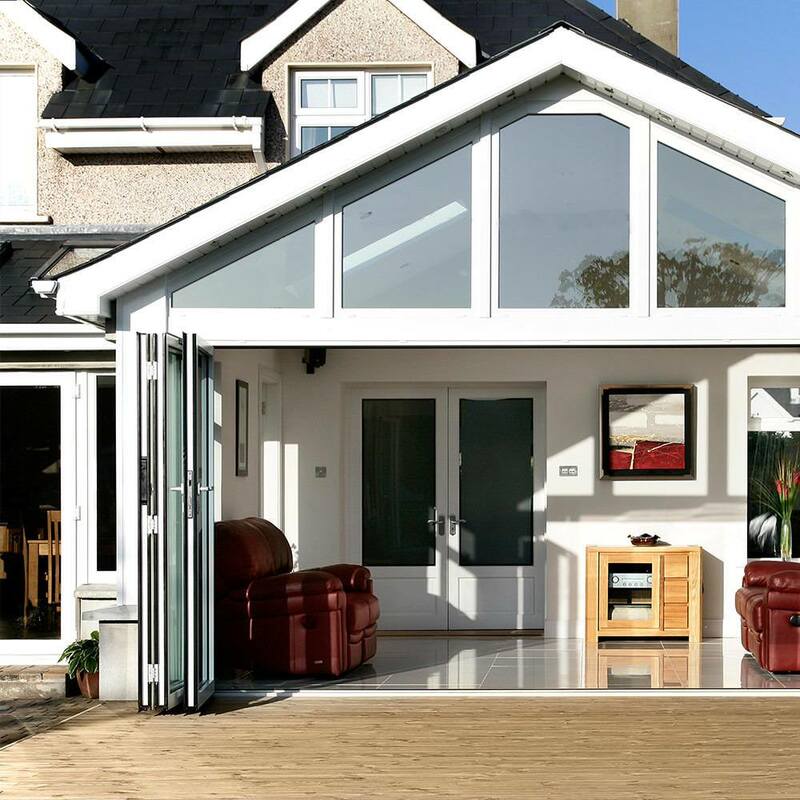 Bi-Folding Doors will inject your home with the ‘wow’ factor. These doors enable an entire wall to be opened, flooding your room with lots of natural light. These doors will make a fantastic addition to a recently extended home, allowing you to turn any wall into an opening. Bi-fold doors are also perfect for separating spaces and connecting rooms within your property. Designed for modern living, they can be pulled back out of the way, providing an open-plan area. Bi-folding doors are fashionable. You only have watch an episode of Grand Designs to see that bi-fold doors are a regular feature. Their sleek design, coupled with wide open views make for a magnificent entrance. Bi-fold doors allow the outside world to become part of your living space. No other door can provide the same integration between inside and out. Incredibly sleek and slimline, aluminium bi-fold doors are perfect for those looking to add a modern touch to their property. 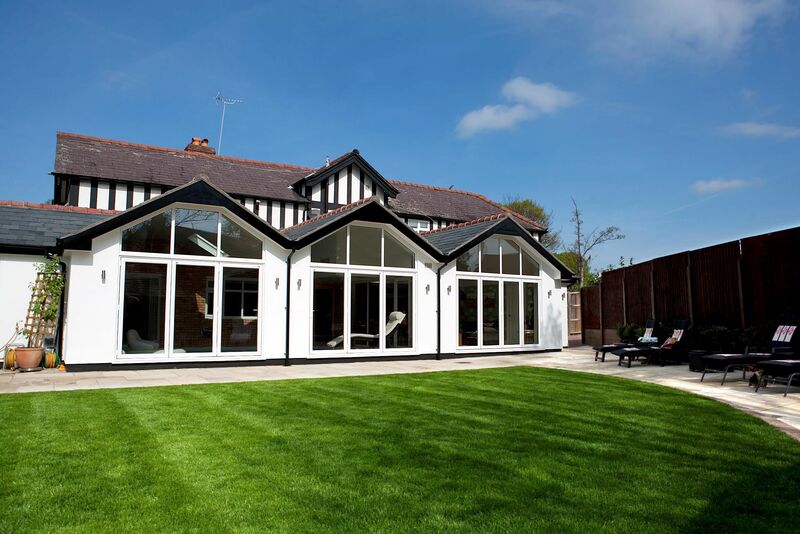 With their ultra slim lines and clean, modern aesthetic, they make a beautiful addition to a new build conservatory or extension. They can equally look fantastic in a more traditional setting, such as an Orangery, offering a beautiful contrast between old and new. Aluminium frames are inherently strong; therefore, they can carry larger and heavier pieces of glass on slimmer frames. Aluminium bi-folding doors can be specified in a wide range of aluminium RAL colours. This gives you great flexibility when it comes to colour, allowing you to match doors to home. Becoming ever more popular with homeowners, our bi-fold doors are available in multiple folding configurations to work with your existing outlay. They can fold to the left or right and take up a very small amount of space when open. 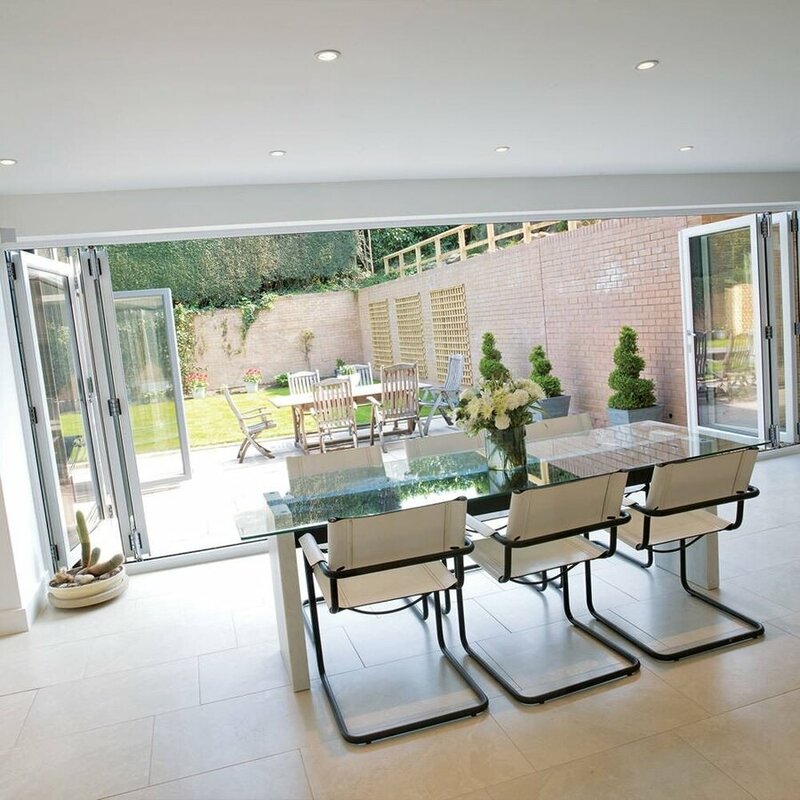 Bi-fold doors fold back to just inches of opening, providing you with a wide and open entrance. Because these doors fold neatly onto themselves you won’t have to deal with any obstructions – perfect for those summer BBQs. Our bi-folding doors can be designed to perfectly complement your home. Choose from a wide range of finishes including special colour surfaces to authentic woodgrain colours. Concept will provide you with the ideal match. UPVC is a widely chosen material for bi-fold doors due to its durability. UPVC is an effective insulator, helping to keep heat in and cold air out. UPVC bi-fold doors are also easy to clean, with no maintenance required. 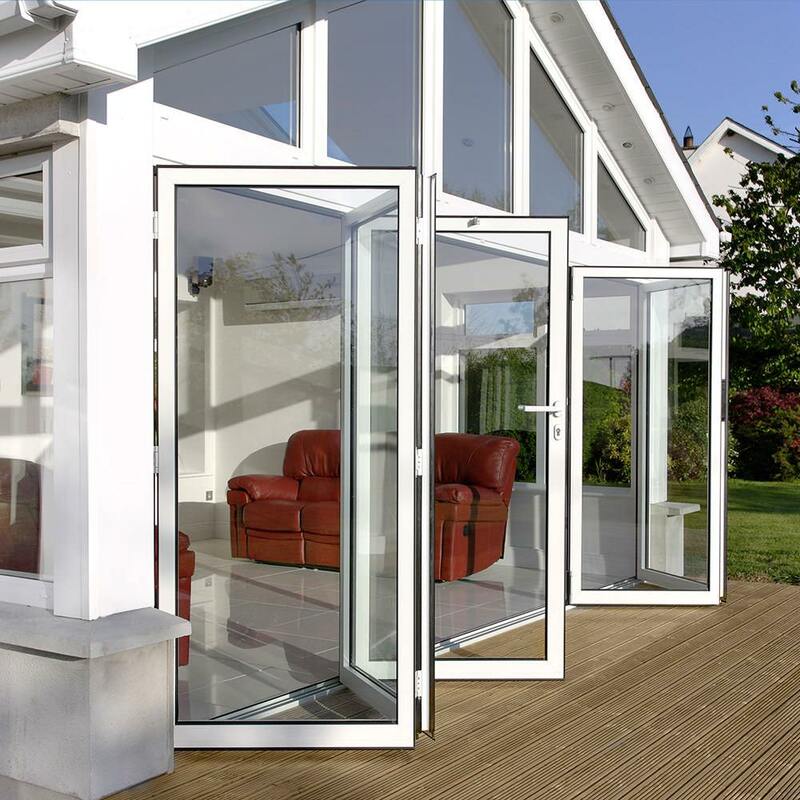 Looking good all year round, UPVC bi-fold doors will provide with long lasting aesthetics. 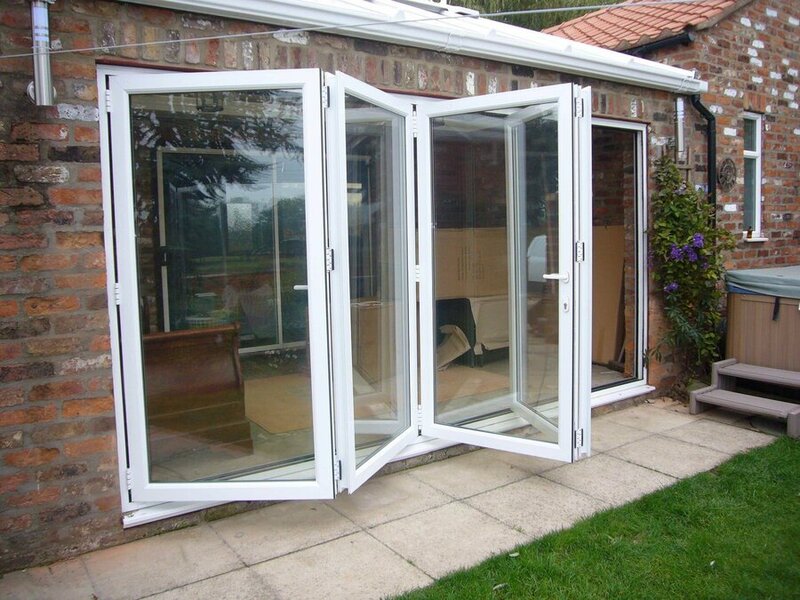 UPVC bi-folding doors are generally more affordable than their aluminium counterparts. This is good news to anyone on a tight budget. They are not as streamline as their aluminium counterparts however, they still look just as good.